The Bill effectively renders Arab Muslims in Israel stateless at a time when the 'two state' solution all but seems impossible and fault-lines are only expanding. 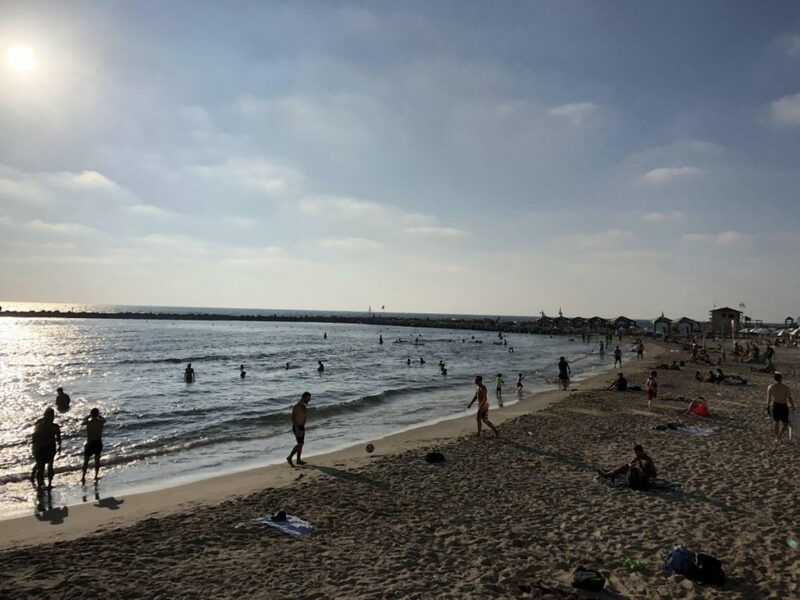 As the sun sets over the Mediterranean off the coast of Tel Aviv on Sabbath evening, Israelis, young and old, head down to the many bars along Ben Yehuda Street, or to the beach to cool off in the July heat. Ideally, Jewry across the world is meant to be indoors on this day, focused on family, prayer and thanksgiving. But here, in groups, as couples, and some alone with their canine companions, they stroll leisurely along the city’s many promenades. Live music and large TV screens streaming Football World Cup matches invite them to step inside and order a drink and a meal. Banners marking 20 years of Pride flap all over in the evening breeze – Tel Aviv is widely known as one of the most LGBT-friendly cities in the world. To the visitor’s eye these sights are everything that orthodox Judaism frowns upon. In some ways, the contrasts between Israel’s secular, cosmopolitan hub and its conservative, deeply religious heart in Jerusalem, not even 50 miles away, couldn’t be more stark. It is this distinct divergence that has defined the debate over a critical question of identity and politics and cracked open a fault-line moderate Israeli (Jewish) society has tried to brush under the carpet for the last seven decades. The Nationality Bill that its hard-line Prime Minister Benjamin Netanyahu pulled out of cold storage (where it lay since 1952) and forced through the Israeli Parliament – the Knesset – after months of heated and angry debates, legislates the country’s Jewish character. It establishes the flag, the national symbol and anthem. It recognises the right of return and the Hebrew calendar. Most critically however, it gives Jews alone the right of self-determination, demotes Arabic from the status of an official language and pushes its minorities even further to the margins of Israeli society. Israel is currently home to 1.8 million Arab Muslims, roughly 20 percent of its population, who have lived here since the creation of the independent nation state. They speak and study in the language most widely spoken across the region, by Muslims, Christians and Jews alike. It is the language of many non-Ashkenazi Israeli jews (non-White/non-European descent) who were either there already or arrived from neighboring countries in 1948. But language has its own hierarchies, its own barriers. For a country that prides itself on being the only strong and stable democracy in a region surrounded by dictators, monarchs and other authoritarian rulers inimical to its existence, this legislation changes that very character. Reducing the status of minorities further is only likely to fuel tensions in one of the most volatile regions in the world. “After all, both Jewish national consciousness and Arab nationalism fuel each other,” says Tel Aviv based political scientist, Yossi Shain. 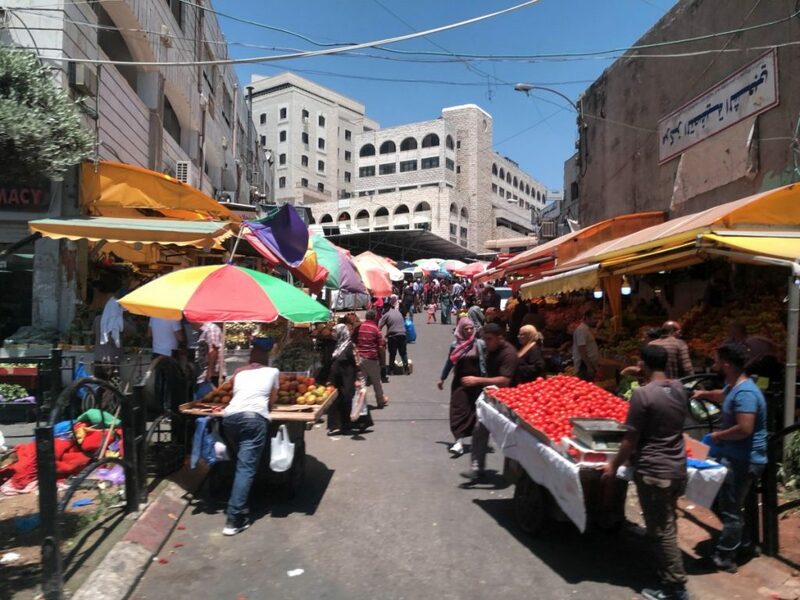 In 1948, when up to 750,000 Palestinians fled or were expelled from the new State of Israel, Mohammed Darawshe’s family became a part of the 156,000 Arab Muslims who made a choice to stay behind. Their villages were in the new nation and their primary loyalty was to their land. Full citizenship, in spite of the identity conflicts – both overt and internal – associated with it, came their way by 1967, soon after the six-day Arab-Israeli war which led to a greater push for ‘Israelisation’. Today, Darawshe who is a director at the Shalom Hartman Institute and researches Jewish-Arab Israeli relations, says they are fundamentally stateless. Their relations with their Palestinian cousins are fraught – they are seen as traitors to the cause. And the already trust-deficient equations with their Jewish counterparts have been made worse by the new legislation. “In the 60s and 70s, the terminology of the state was co-existence. Today we are in survival mode. The debate is about equal treatment, not co-existence,” he says. It is not just Israeli Arabs (a term most commonly used only for Muslims living in Israel as ‘equal’ citizens) who are up in arms about it, but many Jewish Israelis who see the bill cut through the core of democratic, liberal and pluralist values with a knife. “Xenophobia and hatred is contagious,” says former deputy prime minister Tzipi Livni, indicating that populist support for the Nationality Bill was inspired by the rise of right-wing politicians worldwide. Livni, who calls this a clash between religion and democracy, is one of the most prominent opposition voices in the Knesset, but says she was escorted out of committee meetings after her outbursts against Netanyahu over this legislation. Against the backdrop of a complete deadlock in dialogue with the Palestinian Authority in Ramallah and rising terror strikes targeting Israeli settlements and agricultural lands across the Gaza strip by an ever more radicalised and violent Hamas, Netanyahu’s supporters say the Bill is important as a defense against ‘what the enemies say about us’. Once overwhelming support in Israel for a clear two state settlement with Palestine has been overtaken by populist rhetoric. Many moderate Israelis feel it is imperative to insulate what remains and in fact, rebuild the conversations for the creation of two independent states. Darawshe quotes recent surveys that indicate at least 40% of Israeli Jews want its Arab Muslim citizens out. But the drop in support for a two state solution and the growth of hyper-nationalism are opposing ends of the tussle for identity, given the new law prioritising Israel’s Jewish character over its democratic one. Between Trump’s rhetoric, Netanyahu’s populism and Israel’s forging of security ties with the Arab Quartet (Egypt, Saudi, UAE and Jordan) against what Tel Aviv sees as a growing existential threat from Iran via its proxies- Hezbollah and Hamas, the Palestinians have been left to fend for themselves, virtually alone. The combination is combustible. Moderate, nationalist Palestinians who support Mahmoud Abbas’s leadership are calling this Israeli ‘brinkmanship’ that’s only serving to create divisions among their society by proving the Palestinian Authority weak in the face of these developments. According to Khalil Shakiki, who heads a research foundation in Ramallah, a recent opinion survey concludes over half of Palestinian society are still mainstream nationalists, soft on separation, but a little under 20% of a younger, angrier generation reject the status quo and see the siege of Gaza as a fundamental problem facing their nation. “Hamas’s public relations agenda is capitalising on this simmering rage,” he says. The world over, irrespective of citizenship or faith, conflicts between orthodoxy and moderation are deepening with little provocation and dominating political discourse. Fed by populist politicians hoping to consolidate vote banks by fuelling perceptions of majoritarian persecution, neither Palestinians nor Israelis are any different, or any less immune from the desire to either defend or attack the other on the basis of such divides. Maya Mirchandani teaches media studies at Ashoka University and conducts research on violent extremism at the Observer Research Foundation. She travelled to Tel Aviv, Ramallah and Jerusalem at the invitation of American Jewish Committee.